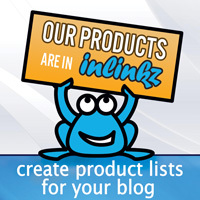 We're on Day 4 of our collaboration week with A Blog Named Hero. They are showcasing projects created with Neat & Tangled stamps all week and we're playing along with their current challenge, Metallics. I'm so happy to be joining in with the lovely ladies over at A Blog Named Hero this week for the metallics challenge. 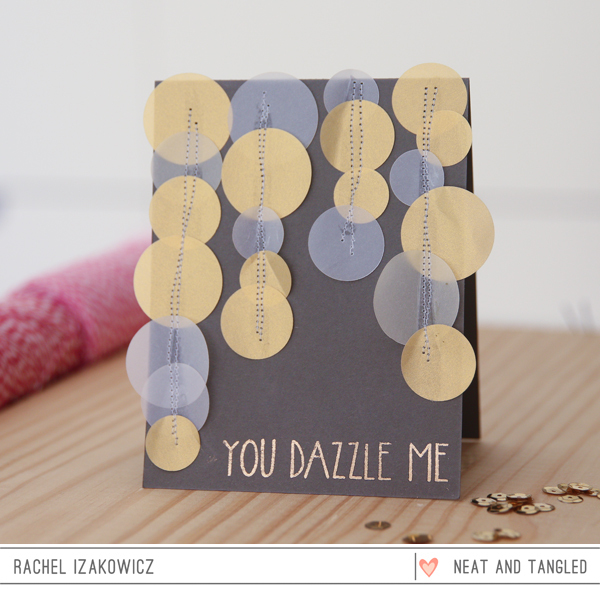 A 'metallics' challenge is the perfect opportunity to pull out some Bokeh Vellum Circles: Soft & Lovely. These gold & ivory circles are heavenly! I created a simple one layer card using rows of these circles, which I messily stitched in place. I wasn't too careful about alternating the color or size, I just went for it! I did leave the rows varying lengths, however, to create some interest across the card front. The sentiment, from Faceted, is heat embossed in gold. 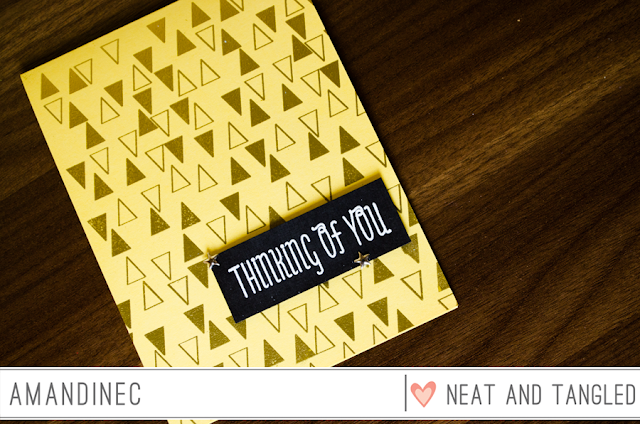 The sentiments in this set are perfect for a metallics theme and work so well with the Bokeh Vellum Circles. Hello everyone! For me, when I hear the word metallic, I do not know why, but I always think of triangles! This is what inspired me to make today's card. In addition, I find that the Tiny Triangles set is just perfect to create a nice background full of sweetness with gold embossing on a yellow background. I just needed a few embellishments to create a simple but effective card. The sentiment is from the Paper Cut Flowers set. Thanks to Rachel and Amandine for sharing today. 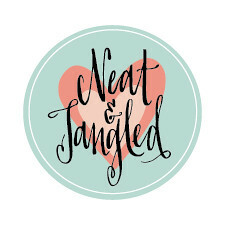 Don't forget to stop by A Blog Named Hero to see how their team is utilizing Neat & Tangled stamps! The first card is so uber dazzling and the second card is super delightful!!! Wonderful, awesome creativity by these wonderful people!!! I am DAZZLED by the GLORIOUS vellum circles stitched together on Rachel's card - an EXCITING design!!! LOVE Amandine's golden triangles too!!! Great cards! The triangles make such a neat background. Love the vellum circles and thanks for the idea on how to use them!